Our good friends over at ToddsDirt.com submitted this awesome announcement for us to post. Seems they’ve won a prestigious Silver Sofi Award! Sofi stands for Specialty Outstanding Food Innovation. “We are pleased to announce that Todd’s DIRT Seasonings has been awarded one of the highest awards in the Speciality Food Industry. 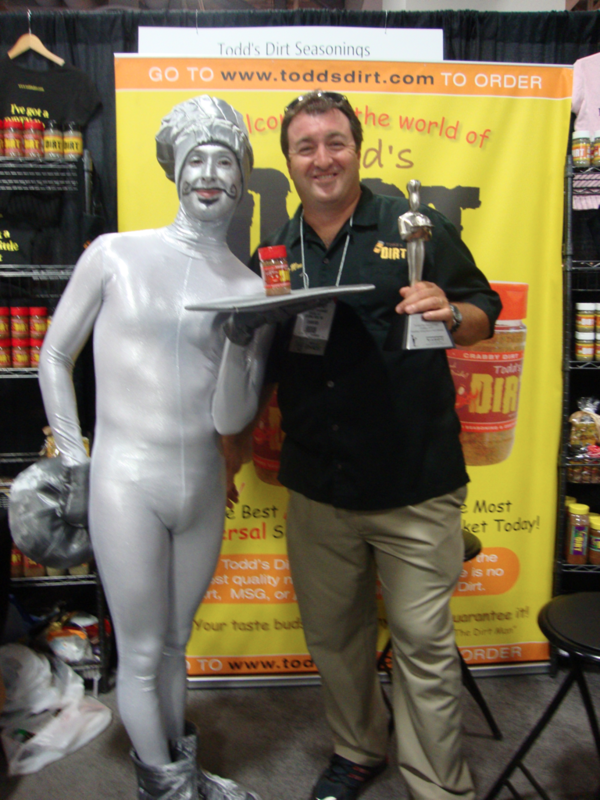 Our Crabby DIRT was awarded a 2011 Silver Sofi award from the National Association for the Specialty Food Trade (NASFT). We won the award in the Cooking Sauce or Flavor Enhancer category. This is one of the toughest categories, because the category includes all sauces, marinades, hot sauces, spices, seasonings, rubs, olive oils and vinegars. 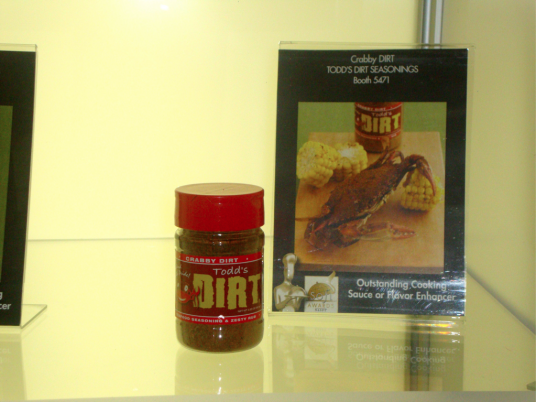 There were over 1700 products that were sent in for judging and Crabby DIRT was one of six products picked. We also found out that our other two seasonings, the Original DIRT and the Bayou DIRT were very close to being awarded. We are very proud of this award, because the Sofi is like winning the Oscar in the Speciality Food Industry. Congratulations to Todd and his awesome Crabby DIRT Seasoning!